Recently, a millions-pounds application with the Heritage Lottery Fund to develop and enrich the St Fagans Museum has been awarded. 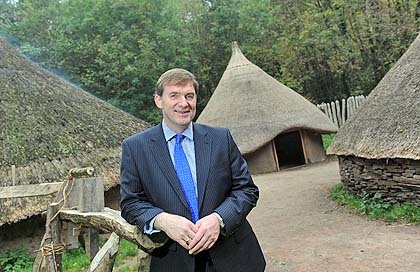 The National Museum Wales will develop Llys Rhosyr, one of the courts of the princes of Gwynedd, where school children will be able to stay overnight. The other important development will be Bryn Eryr, from Anglesey, where young people will work with us to recreate an Iron Age home. Besides this many other plans are included to strengthen the museum and its interpretation. EXARC wishes St Fagans best of luck, and congratulates all those involved.